You can’t be too careful these days about baby products, and always want to do your research. Plus as a loving parent, you always want to provide the best for your children. Trust me, I’ve had 3 children and the tension of providing the best for your kids at a reasonable cost can be stressful. On my pursuit to finding the best high chair in UK, I’ve wanted to share what I’ve learned through the hours of research that I’ve done. 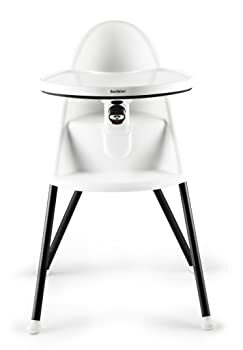 From reading hundreds of reviews and doing some analysis, I think I might have found the best high chair. Seriously, there are so many things to consider when purchasing any products for your baby. I hope to share with you what I’ve learned and giving you the right recommendations and what to avoid. If you’re first time parent, this is probably one of your most important concerns. Even if you’ve had a few children, we all want our children to be safe. Safety should be the utmost priority. You don’t want your child getting their skins or fingers pinched on hinges that come with foldable high chairs. You also want to make sure that hinge mechanism stay open. Also, I tried to look for straps that are easy to use but not flimsy like the ones you see in restaurants. The tray ought to be sleek on prime and beneath, with no exposed screws, bolts or nuts. I’ve heard some stories about children getting hurt from high chairs and booster seats. But personally, the simpler it is, the safer it is. When buying any product, try to think about the long term investment. A great product is one that You can use over and over again. Buy a high chair that should be sturdy and robust enough to carry the weight of your child. This should be sturdy and robust enough to carry the weight of a child. Push on the seat and backrest to see if these squeak, sag, deform, move out of position, or collapse. There are high chairs available that is adjustable until they reach adulthood. Design Is Just As Important! Wooden high chairs makes are simply great in terms of design. I only bring this last part up because it’s a matter of preference. I honestly think most plastic high chairs are designed too much like a baby product. Yes, it’s cute to see the elephants and pretty colors but does the baby even recognize it? I honestly think it’s more for the parents than anyone else. I also don’t like the fact that the plastic high chairs tend to stick out like sore thumb in a room. For myself, design is really important to me and I believe there are great options out there that are practical and beautiful. 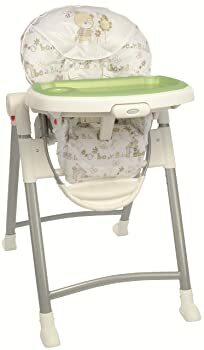 If you looking for a good high chair for your baby that perfectly combines comfort, safety and style. Look no further! Here’s a detailed review of OXO Tot Sprout Chair. The highchair setting features three level height-and-depth settings, adjustable foot tray, 5-point harness and a gentle crotch post. By growing and changing with your child, this chair will offer a comfy, ideal fit during every stage of your child’s development. Kids will always be able to easily reach the food, no matter how fast they grow up. Once children cross the age of three years, parents can easily convert the highchair into a youth chair. The tray offers a stable setting for kids to eat from. The back, seat and the cushions are designed for comfort and promoting the good posture of sitting up straight. The shoulder harness is useful to keep a squirmy baby from easily crawling out of the chair, or a newborn baby from flopping over. The chair complies with both the CPSIA and ASTM standards. It is BPA-free and includes colorful, comfortable bike down questions along with a tray that can hold as much as 7 ounces of any spilled liquid. If you have a messy child, there is no need to worry as the cushions are wipeable, letting you quickly clean the crumbs or other sticky materials off the chair. This chair can be folded up quickly, besides being very easy to setup. Parents can adjust the tray easily with just a single hand. You will need no special tools for adjusting the Sprout chair, which means it’s quite easy to assemble and change the parts as per your child’s needs. Its dimensions are 12 1/4 by 19 by 37 inches, unlike many other standard highchairs often take up a lot of room. The space-saving design and sleek wood construction makes it portable, while complimenting any home decor at the same time. The tray really needs scrubbing, and the food simply comes off with a wet paper towel and the faucet. As cleaning it is effortless, the cushions and seat will look clean and brand-new for a long time. The chair is available in these styles: Green/Walnut, Orange/Birch, and Taupe/Birch. Your baby will certainly like to climb into it on his own, and enjoy putting his feet over the footrest as he grows up. Baby Bjorn high chair is stylish and comfortable. You will absolutely love this chair for your child. The contoured backing of the chair will make sure your child has a good upright posture when eating. Made from durable, chemical-free plastic, it is easy to wipe clean and has no crevices for food to get stuck in. Best of all, it folds nice and flat for storage or travel. 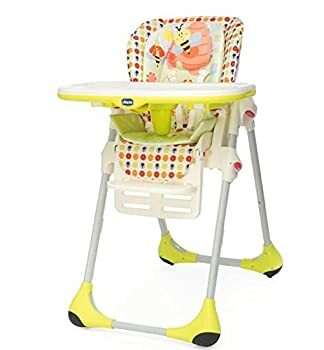 With its reputation in baby safety already well established, Baby Bjorn, the company synonymous with baby carriers, unveiled its latest baby-and-toddler product, the highchair. Designed with the uber-cool parent in mind, this high chair is lightweight construction and multifunctional concept make it a stylish, albeit pricey, choice for new parents. Chicco has been making many quality baby products over the last 50 years. The Chicco Polly highchair is suitable for child between 6 months to 3 years. It’s height can be adjusted to 7 different position, so can be raised up to use at the table or lowered down to be used next to the sofa in the living room. The one-hand removable tray, adjustable footrest and fold-away armrests make it easy for older children to scooch right up to the table with the rest of the family. The chair can also be reclined, so if your child decides to sleep, the back can be tilted to make it more comfortable. This really is a great product, but the reason why it isn’t our #1 recommendation is because it’s limited in terms of long term use. It also has fewer features, but if you’re on a tight budget, this is definitely the best option. 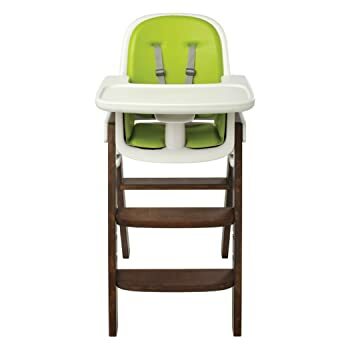 The Graco Contempo highchair looks good, can be easily stored and has practical, easy-to-use features. It doesn’t have a seamless body, but the seat cover does pop out for cleaning. It reclines, has 6 different height positions. Removable tray that can be put in the dishwasher, and it has one of the most efficient ways of strapping a child into the seat. Safe and secure!